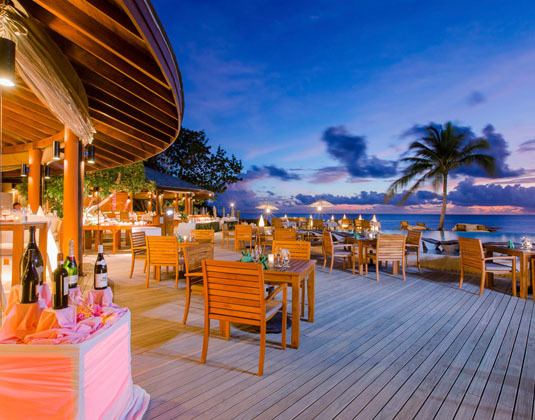 This adult only resort is set on a pristine island and guarantees a relaxing and inspiring holiday experience with plenty of opportunities to indulge and rejuvenate, a choice of dining options and a marvellous wellness area. 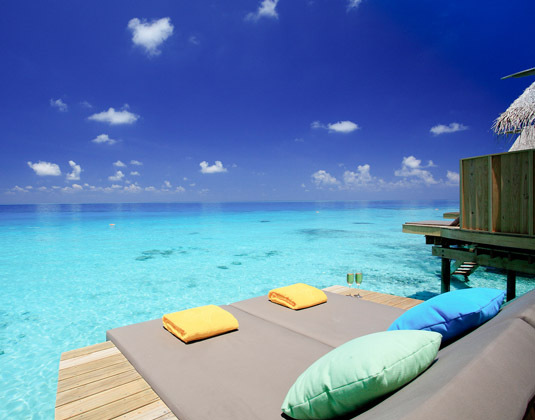 The beach villas are in terrace style while water villas are all detached for added privacy and provide direct access to the lagoon from the sundeck. 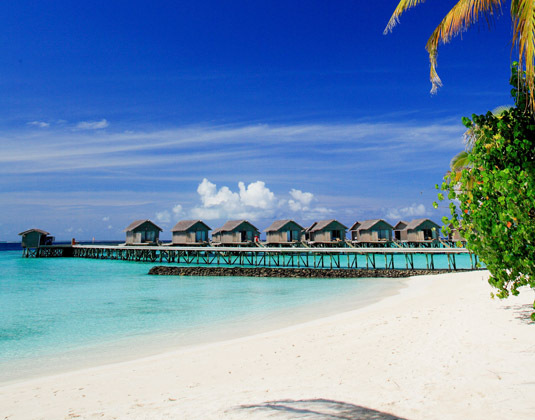 Ideal for snorkelling and diving, the resort boasts a splendid house reef close to the beach, or additionally, some of the Maldives' most sought-after dive spots are within easy reach. In oceanfront beach villas with DVD, mini bar, safe and garden recess with sun lounging area looking out onto the beach. Breakfast, lunch and dinner at Oceans Restaurant - afternoon tea - all day soft drinks and mineral water - open bar service including house pouring brand wine (red, white and sparkling), beer, alcoholic beverages and cocktails of the day (11am-midnight) - non-motorised watersports - mini bar from Jan 19 with beer, soft drinks and snacks (refilled once daily). Early booking villa & meal discount up to 15%: On selected dates between Oct 18-Dec 19. All inclusive gold from £45 (pppd): Includes lunch, dinner, alacarte dine around, daily mini bar, spa (30 minutes per person per day), additional branded spirits and wider choice of cocktails. Honeymoon & wedding anniversaries: 01 Aug 18-30 Apr 19 if you stay at least 7 nights one partner stays FREE and also receive one alacarte poolside candlelit dinner. 01 May-31 Dec 19 if you stay at least 7 nights receive 5% room discount.